On the road? You can now access Hertz through our mobile site or through a mobile application to reserve a car, change your reservation or just login & update your profile. Our new Apps have an easy-to-use interface and an intuitive design that now offers the ease of connectivity through your mobile phone, BlackBerry, Apple iPhone or any other web-enabled device. 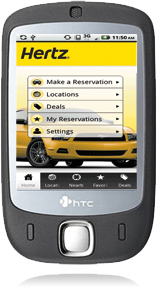 If you access www.hertz.co.nz through a mobile device, you will be forwarded to the mobile version of the website or you could just go directly to www.hertz.mobi. 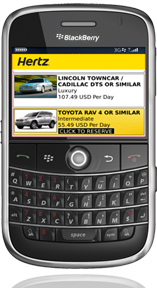 The Hertz App is available for iPhone, Android, Symbian (Nokia) and BlackBerry phones.